Semiotics in the Individual Sciences, Vol. II (W.A. Koch, Ed.). Bochum: Brockmeyer, 1990, pp. 418-436. Designers are among those professionals who have shown a first and continued interest in the modern revival of semiotics. In search of a theory for a field of human practice characterized by a lack of conceptual discipline, designers, especially those formed in the Ulm School tradition, were willing to adopt semiotics as their theory, provided that semioticians pay attention to critical problems of design and not extend a logocratic model where something else seemed necessary. Maldonado (1967) undoubtedly deserves credit for being receptive to semiotics and making it part of his own design concept. At Theo Crosby’s initiative, and with the assistance of some of his students (Guy Bonsiepe deserves mention here), he published several articles dealing with semiotic concepts and their pertinence to design. This happened when Europe discovered Charles S. Peirce; when Bense, continuing his search for a scientific foundation of aesthetics, arrived at sign theory (1970, 1971), and when East European designers, facing constraints typical of dogmatic thinking, approached the problems of codes with new hope for their future work. On the American continent, designers’ interest in semiotics was expressed quite late through students and scholars from Ulm or by contamination from other fields – predominantly from literary studies. This short historic note is not meant to be a rigorous account of names and events, but an explanation of the work that results from applying semiotics to design or from looking at design from the semiotic perspective. A certain turn in my life put me in the position of being able to devote several years to the issue. Consequently, I take credit for teaching semiotics to designers, for initiating courses for practicing designers who wanted to apply semiotics in their work, and for applying semiotic principles on my own to design work pertinent to computers and artificial intelligence (Nadin, 1986). Design happens to be a rather unsettled field of human creativity, without critical method (and without methodic criticism), and without the means to construct one for itself. People who worked in typography, printing/printmaking, jewelry design, architecture, textile, heraldry, ceramics, fashion, and the arts started identifying themselves as designers less than a century ago. Design is a general concept, reflected in the underlying quality of objects, actions and representations which various people make possible in a given culture and within a value framework. To design means, among other things, to plan, to anticipate according to a devised course of events in view of a goal and under the influence of environment. Björn Engholm (1984), in an article that deserves the attention of both designers and semioticians, referred to a time “Als man zu Design noch Gestaltung oder Formgebung sagte” (i.e., when design was still called Gestaltung or formation/form-giving). The shift in terminology he describes is taken a bit too seriously, to the extreme that, under new names, design products “identified as good” offend the eye. “In today’s design, ideology is written in upper-case letters. American design or Italian design is no longer concerned with a subject, but with representation. Design degenerates into sign,” [translation mine]. In fact, the shift from paradigms of previous aesthetic and morphological theories to structure and, more recently, to sign proves far more influential than the change in terminology. In a broader perspective than the one Engholm suggests, we can ascertain that the relation to art, science, and technology defines the type of design. 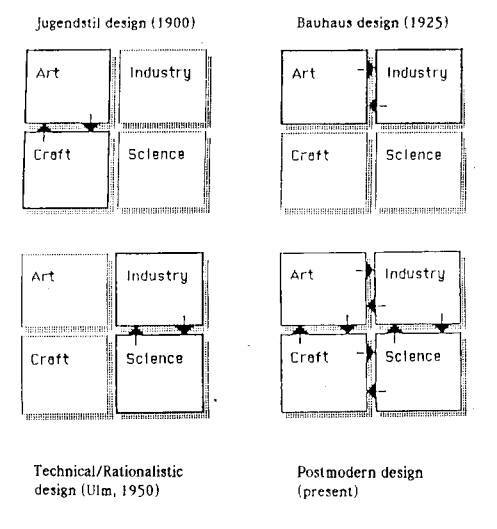 Let me apply this thesis to main schools of design that are representative of the evolution of our concept of design. I will use a simple diagramming procedure with the aim of characterizing these schools, and also show the dynamics of change. This is not a substitute for the theoretic analysis; it submits for discussion, preliminary results in order to present them as a working hypothesis. In each of the stages characterized through the diagrams, a precise semiotic condition is embodied in the unifying concept. Jugendstil design is very much indebted to the general tendency towards symbolism – a characteristic that is revived in current postmodern design. The functionalist approach involves a better understanding of the social nature of design. The semiotics of Bauhaus design is part of the social semiosis. In modern times, design’s participation in social and economic life has increased, a trend that will undoubtedly continue in view of the perceived need to improve interpersonal relations, interaction with nature, and exploration of new realms (from outside our living universe to the depths of matter). Our age of pluralisms suggests a synthesis of all four components mentioned in the figures. Indeed, designers today apply complex knowledge, use sophisticated expressive means, and pursue functionality and high aesthetic quality, inciting the user to interact with the design, to “complete” it in the process of using it (the pragmatics of product). The diagram in figure 27.1 can be interpreted in view of three semiotic levels at which signs are interpreted. Jugendstil designers concentrated on syntactic aspects. (The Basel School of typography is the most notorious example of this attitude today.) Bauhaus started with strong semantic overtones. The so-called product semantics – an attractive product design aimed at maintaining product form as close as possible to what users perceive the product to be – should be mentioned as an example (despite the primitive thinking often embodied in the theory developed) for explaining the relation between the Bauhaus and the Ulm Design School ideology: a few designers concentrate on pragmatic issues, critical in this age of fast changing contexts in which design is perceived and interpreted. I claim that, despite their fundamental differences, the Bauhaus and postmodern models share a common focus on the pragmatic level of the sign: Bauhaus in accord with the socialist ideology it actually embodied; the postmodern along the line of a better understanding of our new human condition in this age of technological renewal and scientific discovery. Design did not degenerate into sign. It acquired, in the postmodern, qualities reflecting semiotic awareness of designers. Design covers such various fields of activity as architecture (from landscape to interior, city, monumental), visual Communication, engineering, and industrial design. It is one of the most pervasive components of any human activity. The following simplified representation of almost any kind of design evidences the relation between design, designer, and beneficiary. The diagram can be slightly improved if, instead of defining the object of a designer’s work as the product, we deal with a higher-level concept: the problem. In this case, design is identified as problem solving, one of today’s dominant paradigms. While problem solving is a general principle of design, certain semiotic aspects (characteristic of industrial or graphic design) should be specified in order to better understand this type of design before attempting to propose a model for it. Among these semiotic aspects are type of representation, consistency of representation, means used, type of interpretation made possible/necessary, and relation between design and final product. This makes possible the understanding of the semiotic process through which designs are created. The process of designing is quite difficult to describe due to the interdisciplinary nature of design. The “specialized” components (e.g., planning, aesthetic quality, the social and psychological aspects of design and the product designed, communication, science, technology) require an integrative procedure as well as a self-critical moment (reflected in the historic parameter according to which designers as well as users of design compare new designs to previous work and situate design in the broader context of culture and civilization). The design process, in its close relation to design products and their use, implies design intelligence, cultural sensitivity, and a critical attitude – semiotic components of many other forms of human activity. Designers work towards a goal (product) to be achieved with the help of representations of this goal, i.e., with the help of semiotic means, sometimes used according to identifiable aesthetic criteria and/or cultural, economic, or political factors. The discussion of whether design is intuition, or requires a method (semiotically based or otherwise) could not produce univocal answers, and presumably never will. Design does require a great deal of system (or method) especially in precise area such as typography, signage, and specialized communication. However, elements of inventiveness, spontaneity, even randomness, confer “life” upon design, the touch of humanness, without whose expression perfection is quite often dead. Since the main semiotic device that designers use is representation, I would like to suggest a diagrammatic representation of the above-mentioned idea. Adoption of one kind of sign – usually pertaining to verbal language – as a paradigm, with the understanding that every other sign is structurally equivalent. Artificial intelligence researchers are quite comfortable with this model. The Swiss linguist Ferdinand de Saussure (1857-1913) advanced the definition of sign as the unity between a siqnifier (the actual sign embodied in some material form such as words, shapes) and the signified (what the sign is supposed to mean). No matter which definition is adopted, the question of semiotic relations governing sign processes is necessarily raised. Remaining within the realm of sign as symbol, Simon felt entitled to state, “The laws that govern these strings of symbols, the laws that govern the occasions on which we emit and receive them, the determinants of their content are all consequences of our collective artifice.” Both de Saussure and Peirce described the same through the role of the social, a semantic equivalent of “collective artifice.” Although Simon is mistaken in limiting the sign to the artifact – we can and do interpret semiotically (i.e., as a sign) natural occurrences, too – he is correct in considering signs as having an air of contingency, natural phenomena having an air of necessity, in his opinion.The panlogical definition of the sign is more appropriate to design, an activity in which the visual dominates. However, there are numerous instances when the Saussurean definition, (or some of its refined versions for which we are indebted to contributions of the French School of semiology) can be used as an efficient analytical tool. Nevertheless, I shall apply the panlogical definition in this text due to its appropriateness to the design subject and my intention to present examples of semiotics applied to design. Design activities are not reducible to the model of verbal language (or of any other sign system). On the basis of Peirce’s definition given above, this diagrammatic representation (not the only one possible) can serve as an operational model. 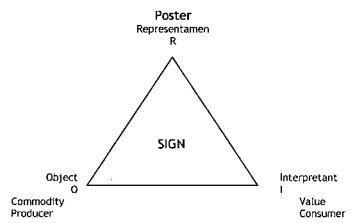 This diagram should be read as saying that only the unity between the three components represent a sign, i.e., that signs are identified as such only through their representation and that as soon as we interpret a sign, we become part of it for the time of that interpretation. The functions of a sign are also evident in this representation. Semiotic levels at which sign processes (semioses) take place, levels that became familiar and important in design, can be depicted. There is little trouble in understanding from this that no sign can be considered independently of its relation(s) to other signs, be these similar (such as words in a given language) or different (words, images, sensory perceptions, etc.). The interdisciplinarity of design is the consequence of the fact that sign processes are heterogenous by their condition and that in order to understand how different kinds of signs constitute design, we have to become acquainted with each different kind, as well as with the principles governing human or even machine interpretation of design. Representation of an object, and the consequent interpretation of such a representation, can take three different forms. It should by now be clear why Simon’s concern with symbols alone (also the concern of the field known as symbolic anthropology, which influenced designers for a long time) proves a serious limitation of his explanatory model. However, since symbols are the dominant sign representation in human culture, and since each symbol contains iconic or indexical elements, it is easy to reformulate some of Simon’s ideas in order to more adequately make use of the semiotic principles governing the cognitive condition of design. Semiotic interpretation of design requires that we identify the design as the elements constituting it. The system of selection through which designers opt for what they consider a better way to accomplish their goal (in particular, their commission). Knowing one design does not mean knowing every design. But in reality people using design (for public signage, for devices in the form of displays, instructions, buttons, etc.) infer from previous interpretation to new ones. Advertisers for instance, take advantage of the public’s inferential tendency by maintaining characters (look-a-likes are a particular case), music, scenery, and product identifiers. Even if designers do not study semiotic principles, they apply the common semiotic knowledge we all acquire in the environment in which our social life takes place. Abstract learners, the only ones likely to benefit from chalk and talk. For designers to apply semiotics does not mean to design with a treatise of semiotics on the drawing board or under the computer keyboard, but to consider the semiotic implications of whatever they design. Whether these complications are acknowledged in the four types of learners mentioned above, or in some other typology, is not relevant to this discussion. What matters is the understanding that the designer has to know for whom – user not commissioner – he designs, i.e., to establish a semiotic system with precise, appropriate, consistent rules. Using one of the most pervasive forms of design – signage – I would like to exemplify this, while expressing several practical requirements. consider the dynamics characteristic of design. The use of semiotic means of analysis and evaluation implies the need to integrate a signage system into the broader system of visual communication, making sure that it will perform according to its basic functions (as derived from service offered by a transportation authority): expressiveness, precision, user-friendliness. Since signage, together with other forms of communication, exercises an educational function, it is important to define the values embodied, in this case values characteristic of our society. Some of these values are still in the process of implementation, such as considering the specific needs of the transportation of disabled or of the growing number of tourists. This makes the problem of signage more complex. Designers need qualified support in the problem-solving aspect of their work. And they are willing to accept it from professionals dealing with how people interpret signs, how people design signs, how signs become part of culture, and how cultural changes occur in our days. significance, i.e., the importance assigned to information made available to potential users, as an implicit statement about the quality of the service and the user, as well as about its social function. critical evaluation of each component and of the entire system. generative (using a knowledge base to generate new models, test, improve, and finalize in design). Semiotic implications for design can be determined for other cases. Important is the understanding that there is no universal answer to complexity, and that semiotics suggests a very concrete analysis of the context for which an appropriate design is created. Prior to the modern revival of semiotics, Mukarjovsky (1936) suggested the well known function typology based on the dualistic distinction between object and subject. The diagram represents this thought quite directly. The so-called semiotic function reflects the obsession with symbolic qualities and aesthetics. Here are instances when the product of design work can be identified with the object, and the user’s attitude with the subject. For those instances – more often the exception – symbolic qualities can be determinant. Design in autocratic societies reflects the dualistic premise of Mukarovsky’s analysis. Whenever we apply it, we recreate the dualistic framework of reference. The authority of the subject or that of objects – characteristic of consumer societies – take the appearance of the authority of design. There is no such thing as a better dualism, be it the dualism of idealistic philosophies, of Marxism, of religion, or of logic. 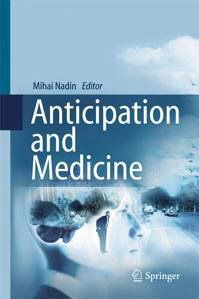 The change I suggested (Nadin 1986) reveals the process through which signs are identified (constitutive moment and the associated hermeneutic function), through which signs are used in various activities (the cognitive function, the heuristic function, the expressive function, etc.). For the designer, all those function categories are important in view of the purpose of design. Within each category, some functions are more important than others. For instance, while the theoretic function is almost ignored in the process of designing, representational and practical aspects dominate. One can say as a general thesis that the content of design semiosis is that in which the pragmatic dimension of sign dominates. According to the specific goal of each type of design application, the pragmatics is actually represented by the functioning of designed products within the intended contexts. If such contexts are not appropriately identified, the result is misinterpretation, even if formally the design was right. As applied semiotics, design is the process through which signs appropriate to intended contexts of interpretation/use are generated. People communicate using signs. Such signs can be simple or very complex, homogeneous or heterogeneous, sequential or configurational. Interface is the meeting place between two different entities that are supposed to come in contact, to be brought together, i.e., to communicate. It follows that interface has the nature of a sign. 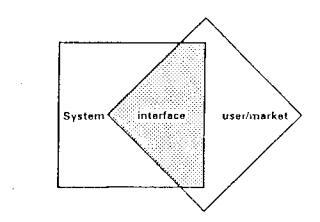 Simon (1982) even introduced “the artifact as interface”. While it is true that the concept of interface became fashionable in the “computer age,” actually a product of human culture as an artifact environment, and it is this respect that Simon regarded “The Artifact as Interface” and “The Environment as Mold.” Interface is also a problem of human-to-human relations, especially in the context in which human contact and inter-influence become more and more mediated. Defining the sign as a mediating entity and semiotics as the theory and practice of mediation, I suggest that despite the diversity of signs and sign processes characteristic of design, these all fulfill the basic function of intermediary, go-between, medium between two or several distinct entities brought together through a specialized human activity which we call design. The contingency of each mediation – its likelihood, relative unpredictability, its dependency on and conditioning by other factors – that is, the contingent nature of design, is a reflex of design’s double nature as science (in respect to the scientific principles of design) and as art (in respect to a particular, original way of designing). All that we understand, i.e., know, we know through the intermediary of signs used by designers – and in signs. All that we apply from our knowledge of design is semiotic in nature. Based on these elements, I would like to introduce a generalized concept of design as interface: The product of design is the reality through which user and designer communicate. I should repeat that interface, no matter what kind, specifies the optimal set of signs for the interaction between two entities, be they animate or inanimate. 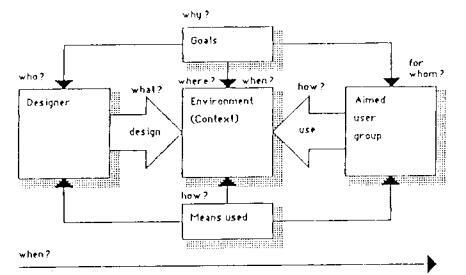 In a limited sense, user interface specifies the action the user is supposed to take in order to access different parts of a system to the design of the conceptual model that is the basis of that particular system. Cars, radios, dishwashers, vending machines, etc. all require interface in order to be optimally used. Each requires a certain sequence of actions that allows for the pragmatics of using it. What makes things a bit more complicated in comparison to the most common social forms of interface through the intermediary of natural language (the most complicated semiotic system that we are aware, of) is the fact that design interface is part of the designed object. To use an analogy, it would be like receiving with every sentence we hear or read, instructions for understanding it, i.e., the code. Design is indeed a work of encoding and providing the key for the “reader.” Sometimes design is quite hermetic; other times it can be direct to the degree of being simplistic, offending our sense of design. The main reason for introducing the idea of design as interface can be found in the technological development that culminated with the digital computer. Our relation to these fast processors of zero’s and one’s is mediated by user interface. Since computers, big or small, fast or relatively slow, are the same, the interface, i.e., the design component, makes the difference. But once we look at design from the perspective of our competence and performance with computers, we actually reevaluate design as such. From a relatively simple model of the relation between design components, we will be able to infer to what is actually used in the process of designing. tools (simple – such as pencils, rulers – or complex, such as production tools and, more recently, computers). Computers are harder to classify, but they cannot simplistically be called tools. Is there any chance that computers can emulate some component of design work? The question is very important for design, but also for semiotics. Given the semiotic condition of design, if we are able to emulate design through some programs, we will be able to emulate part of the semiotic competence of the human being. Easier said than done. In order to find out how far we can go under the given circumstances, we would like to develop a computational theory of design. Leibnitz, forefather of modern semiotics and computer science, thought that a lingua adamica was possible but never quite made the step towards translating everything into a language with only two letters (and very complicated rules applied to those letters). A computational theory of design is implicitly a semiotic theory. It has to address the components of design in a way similar to the one in which communication theory deals with communication, for instance. The following (and last) diagram explains the semiotic implications and specifies the components to be addressed by a computational theory. If, to introduce a simplification, this meant only to identify possible communication categories describing how designers work together, its complexity would already be beyond what we currently know about design. In all fairness, I have to say that although design can profit from semiotics, semiotics itself has already gained a lot from trying to understand, analyze, evaluate, and eventually get involved in generating design. A computational model of design, even a rudimentary model, would benefit both design and semiotics. Bense, Max (1970).Semiotik. Allgemeine Theorie der Zeichen. Baden-Baden: Agis. (1971). Zeichen und Design (Semiotische Ästhetik). Baden-Baden: Agis. Englholm, Björn (1984) Politik und Sprache, in Form 1 (1984) 6-7). Jakobson, Roman (1967). Satructure of Language and its Mathematical Aspects, in Essais de linguistique generale. Paris: Editions de Minuit, pp. 87-99. Maldonado, Tomas (1967). Visual Signs in Operative and Persuasive Communication, in UPPERCASE 5 (Theo Crosby, Ed.). Tonbridge, Kent: Whitefriars. Matthews, Robert (1986). Talking your language, in Design 8, 40/1. Mukarovsky, Jan (1936, 1979). Aesthetic Function, Norm, and Value as Social Facts. Ann Arbor: The University of Michigan, Slavic Languages Department. Nadin, Mihai (1984). On the Meaning of the Visual, in Semiotica 3/4, pp. 335-377. (1986). Visual Semiosis Applied to Computer Graphics, in ASEE Conference Proceedings, pp.498-501. Simon, Herbert (1982). The Sciences of the Artificial. Cambridge MA: MIT Press.